Review safe travel behaviors for domestic and international travel before you leave. Travel experts agree common sense is the most important thing to bring on your trip. 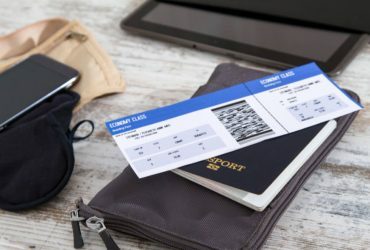 According to the website Travel and Transport, here are just a few helpful reminders to ensure your next travel experience is a pleasant experience. Make an ID card with your name, age, blood group and other important details such as allergies and medical conditions. Do the same for children just in case someone in your group has an emergency and needs to be treated. Review pre-travel vaccinations and health precautions recommended by health professionals. The Center for Disease Control has a website travelers will find to be useful. Make copies of passport information and your itinerary. Leave copies at home with friends or family. Additionally, you may want to scan and email the information to yourself so you can have it in a digital form just in case the paper version gets lost. Consider using your work address and phone number for luggage tags, as opposed to your home information. Review country-specific information and travel alerts if you are traveling internationally. You can find this at the State Department’s website travel.state.gov. Pack labeled medications in their original labeled containers. Bring copies of your original prescriptions. This precaution will expedite the airport security process. Pack extra medicine, so you are prepared if you are away longer than expected. Be aware of local laws and customs of your travel destination, as you will be subject to the local laws.